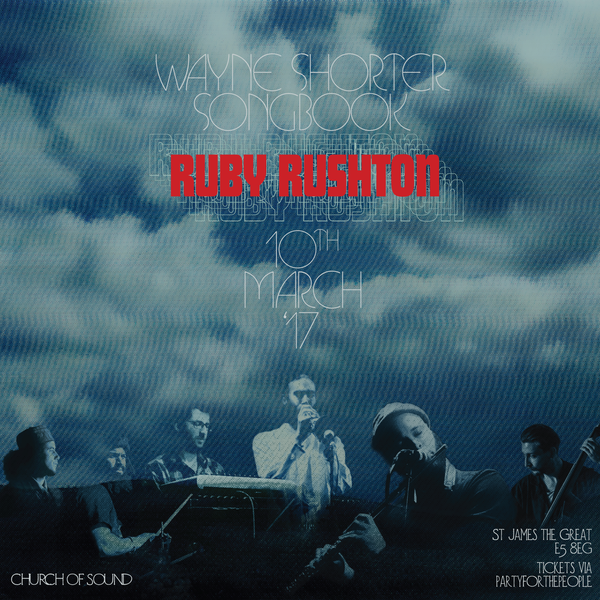 Church Of Sound is excited to welcome the wonderful Ruby Rushton. The band will be premiering a brand new set of original material, as well as paying tribute to the sensational composer & saxophonist Wayne Shorter. Led by flute & sax man, Tenderlonious, Ruby Rushton’s music is a reflective, instrumental sound, nuanced by a fusion of afro-beat, hip-hop and electronic music influences, expressing their craft in the most earnest way they can. "Tomorrow’s music, tomorrow’s sound.” We love this! Wayne Shorter’s career has been exceptional. From leading Art Blakey’s Jazz Messengers in the early 60’s, to forming Weather Report in the 70’s, via playing and composing for Miles Davis, Shorter’s music stands alone. For this Songbook, the band will focus on Shorter’s mid 60’s output on Blue Note. Lexus Blondin & Born Cheating will be spinning records before, during & after the concert.